TRIBO.dsp U3200 is an advanced and economical particulate detector for dust collector compliance, maintenance, and process applications. 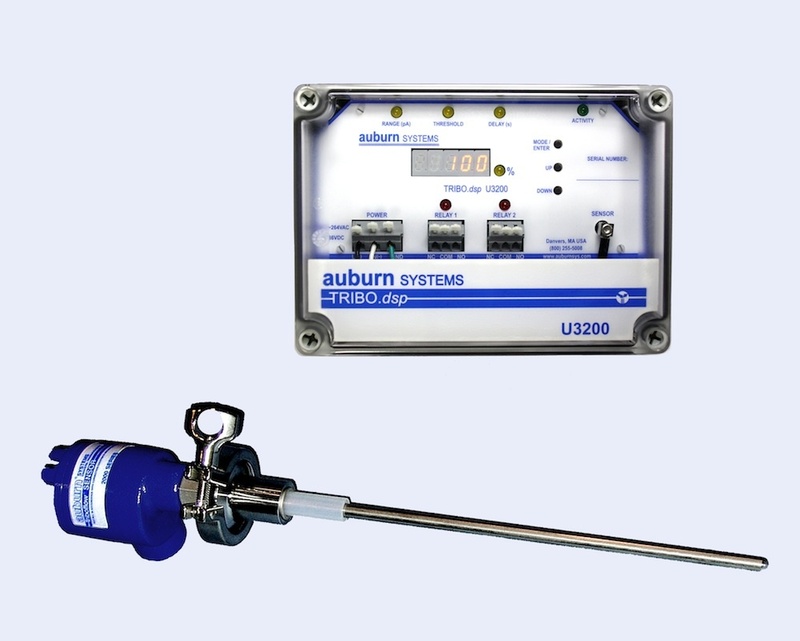 The U3200 is designed to monitor fabric filter baghouses, cartridge filters, cyclones, and all types of dust collection equipment. For dry solids flow applications, the U3200 can detect flow/no flow and even high or low flow conditions in pneumatic conveying, injection, or gravity fed process flow applications. Features include self-checking electronics with a numerical LED display showing the real-time signal level, and easy-to-set alarm indicators. When installed, the U3200 monitors the process under normal operating conditions to establish a baseline. The U3200 detects changing signal levels relative to the normal operational baseline. Dual relays allow for two levels of warnings or indications which can be set for either high or low threshold exceedance, depending on the application.